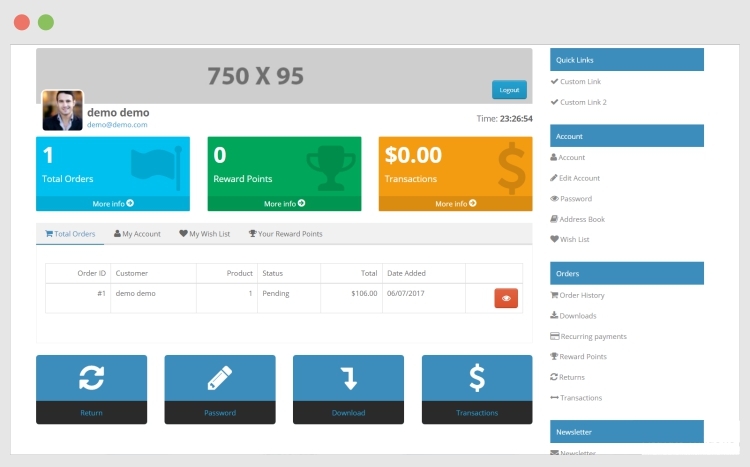 OpenCart’s this extension, Account Dashboard Pro, enables your stores to look by the present time. A large portion of the Opencart themes departs this page as it is. Nonetheless, this extension causes you to solve this issue and get a thoroughly Change, and New look My Account page.